Fort Tyon is a community public park. Fort Tryon Park was built by Frederick Law Olmsted Jr., son of the architect of Central Park in 1935. If was given as a gift to the city of New York by John D. Rockefeller in 1917. It remains as one of NYC's larger parks with plenty of activities and volunteer opportunities for the public. The access to the park is free as it is a public park. 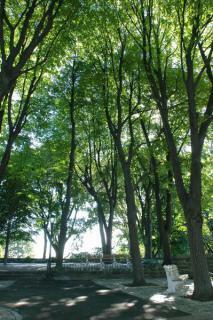 Fort Tryon Park features a road for walking and running with dogs, as well as many other activities such as a gazebo. It overlooks the Hudson River. The park has plenty of activities for kids, including playgrounds, and also holds various events during the warmer seasons, such as yoga fitness. Inside the park there are cafes and shops.